Fruit Vendors by Ng Eng Teng. 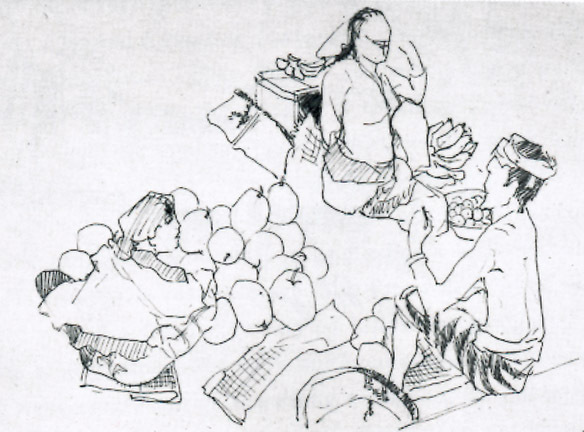 Fruit Vendors by Ng Eng Teng (nationality: Singaporean). Year: c1960. Medium: Ink on paper. Size: 28 x 38cm.